It's official. 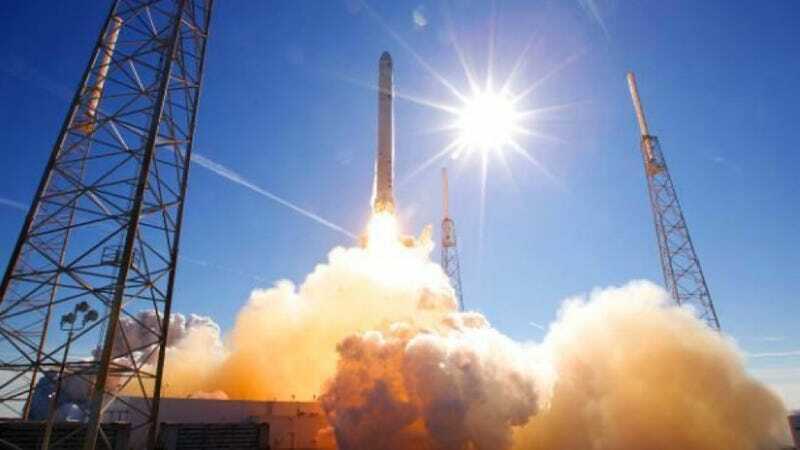 According to Elon Musk, CEO of private space-transport company SpaceX, NASA has given the final go-ahead on a launch that, if successful, will mark the dawn of a new era in spaceflight: the era of commercial spacecraft. Liftoff is scheduled for Saturday morning. At 4:55 a.m. EST, SpaceX's Dragon capsule and Falcon 9 rocket will launch from Cape Canaveral Air Force Station, in the first of what NASA hopes will be many successful trips to and from the International Space Station. If the Dragon capsule can successfully dock with the ISS, it will represent a major milestone in NASA's plan to place the task of crew and cargo shipments in the hands of private companies. "It is, by all accounts, an important step, bordering on a giant leap, for commercial space," said Michael Lopez-Alegria, a former NASA astronaut and space station commander who now heads the Commercial Spaceflight Federation. SpaceX's Falcon 9 rocket launches a Dragon spacecraft into orbit from the Cape Canaveral Air Force Station. Dragon orbits Earth as it travels toward the International Space Station. Dragon's sensors and flight systems are subject to a series of complicated tests to determine if the vehicle is ready to berth with the space station; these tests include maneuvers and systems checks that see the vehicle come within 1.5 miles of the station. NASA decides if Dragon is allowed to attempt to berth with the station. If so, Dragon approaches; it is captured by station's robotic arm and attached to the station. This requires extreme precision even as both Dragon and station orbit the Earth every 90 minutes. TBD: Astronauts open Dragon's hatch, unload supplies and fill Dragon with return cargo. After approximately two weeks, Dragon is detached from the station and returns to Earth, landing in the Pacific, hundreds of miles west of Southern California. Fingers crossed for a successful mission, everybody. Remember, tomorrow will mark only the third flight of the company's Falcon 9 launch vehicle, and only the second of its Dragon Capsule. In fact, according to SpaceX, tomorrow's flight will be "the first for a number of all-new components necessary to berth with the International Space Station. If any aspect of the mission is not successful, SpaceX will learn from the experience and try again." You'll be able to watch the launch live via webcast at the SpaceX website. You'll also find tons more information — including things like detailed mission timelines, what kind of cargo the capsule will be carrying to and from the ISS, and Dragon capsule recovery procedures — in this informational packet.